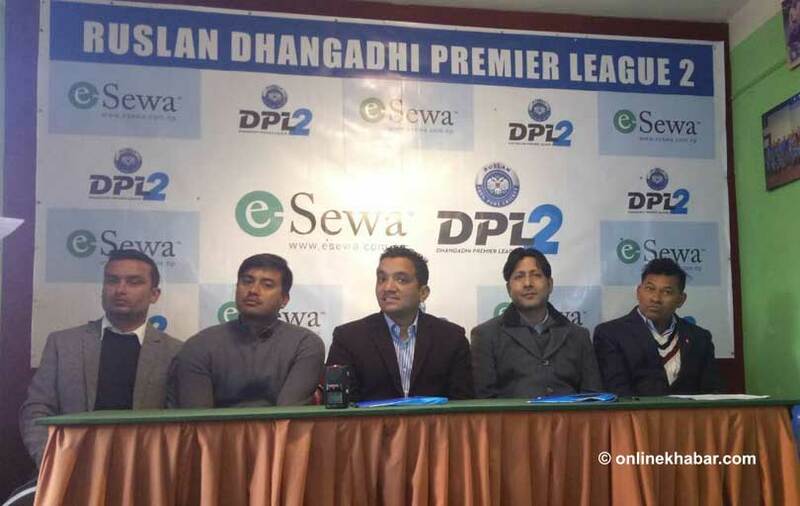 The announcement of Dhangadhi Premier League in Kathmandu, on Thursday, January 4, 2018. Come February 9 and the country’s cricket league with the highest cash prize, Dhangadhi Premier League (DPL), will open its pitch for cricketers, among whom the winners will take home Rs 3 million. According to Dhangadhi Cricket Academy President Subash Shahi, the cash prize of the franchise event is Rs 6 million in total whereas the first winner will receive Rs 3 million. The team securing the second position will take home Rs 1.2 million. Similarly, the third place finisher will bag Rs 400,000 and the fourth Rs 200,000. At a press conference organized by the Dhangadhi Cricket Academy here, President Shahi shared that preparations to host the event were almost over as five pitches had been constructed. Altogether six domestic teams are vying for the title during the tournament that has also been recognised by the International Cricket Council. South African former cricketer Jonty Rhodes will be the Goodwill Ambassador of the event that will last till February 23. Rhodes is scheduled to arrive in Dhangadhi today itself.